“I read Portrait of the Artist as a Young Man at the age of sixteen. At that age my relationship with fiction was based upon classic ghost stories, Lovecraft, Robert E Howard, Lovecraft, Tolkien, Lovecraft, Stephen King, pulp horror, and more Lovecraft. Which was all accompanied by a relentless soundtrack of pounding heavy metal, chiefly Iron Maiden and Deep Purple. I was also an acutely sensitive, self-loathing and angry misfit, displaced from New Zealand, and quite ashamed of the maelstrom of creative energy I had no outlet for, as well as being convinced that I was destined to be a pariah and too absurdly different from most anyone I knew. A familiar profile, I’m sure. And then I passed into the sixth form and just had my eyes opened on the A Level English Literature course. I was surrounded by great novels at home, but had churlishly resisted anything that wasn’t horror or fantasy, as I’d foolishly imagined that anything else was conservative, dull, impenetrable, and not meant for such a loathsome creature of the shadows such as I. A levels back then were more rigorous than degrees and very hard to pass; you would study a dozen texts in minute detail with senior teachers in small classes, over two years, and then pass or fail in two three hour exams per subject at the end of the second year; there was no assessment. Less than 10% of school leavers made it to university. And I remember when my teacher Mr O’Brien, took me through Joyce’s Portrait in the lower sixth, I was stunned. Just stunned by revelation after revelation within the text. It was as if I’d waited my whole life for that one book to make sense of myself. 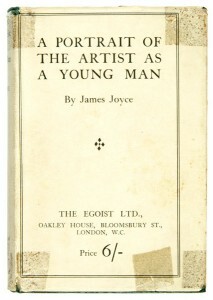 The lead character has a poor Catholic boyhood in turn-of-the-century Ireland, which was about as far away from Birmingham in the 80’s as you could get, but the young Dedalus’s responses and reactions to the world – the very manner in which he felt and perceived life – I identified with at a profound level. This book articulated how I had always felt. It overwhelmed; nothing had inspired me as much until that point; I felt confirmed and immensely comforted by reading it; it made me feel more defined. No work of art, nothing, had been such a revelation. It sounds horribly self-serious and pretentious now (and I was all of those things, as Dedalus is too), but I finally better understood what I could be. And as it’s a narrative of infancy to adulthood, I felt as if Dedalus’s childhood, his boyhood, and his adolescence were emotionally and cerebrally a mirror of my own; there were a hundred years between the character of Dedalus and myself, and a sea, but the underlying basis to our characters, I felt, was the same. Applicable to me in my time. And that was it; I knew what I was going to do in this life: I was going to write. I remember plodding past the lower school field, silver-framed glasses twinkling, a long fringe in my eyes, scruffy bag over my shoulder, denim jacket festooned with Rainbow and Iron Maiden patches, when the vow was made. And as set out by Joyce, I then followed the old school route to writing: reading the canon of what had gone before me; acquiring experience for its own sake; endlessly revising to acquire the craft; seeking mentors. A purpose for life. It guided the choices I then made for my future. It’s the book that changed my life. And Joyce was a great poet; he is a master of language like a great poet, so his language is so precise, his description in the novel so multi-sensory, so transporting, so powerful. I can think of few better written novels. The closest I had come to such richness before was in Ray Bradbury’s fiction. Becoming a better reader makes you a better writer; it opens your eyes to different ways of writing, not just the means of expressing yourself, but choices that can be made about narrative, about point-of-view, about voice. I then looked at the seemingly endless library of literary and canonised fiction and felt utterly humbled by my ignorance. So I took an English degree to find a way into it – especially modernism – and to find teachers who could unlock it for me. I put down my pen and decided I could not write again until I had read much more. So much more. I never returned to reading genre fiction until about ten years later, but have a better appreciation of the weird and fantastic in fiction now because of this break, in which I read widely of the 20th century classics, with an emphasis on modernism, and am a better equipped reader now to fully appreciate the best in our field too. A field of stiff weeds and thistles and tufted nettle bunches. Thick among the tufts of rank stiff growth lay battered canisters and clots and coils of solid excrement. A faint marshlight struggled upwards from all the ordure through the bristling greygreen weeds. An evil smell, faint and foul as the light, curled upwards sluggishly out of the canisters and from the stale crusted dung. The poetry of terror is right there; perfect choice of diction, precise repetition. It’s probably only bettered in the novel by a description of eternal suffering, that left me aghast and agape. Portrait also developed in me an insatiable appetite for the great outsider literature, and eventually led me to Hunger by Hamson, Steppenwolf by Hesse; The Moon and Sixpence by Maugham, Orwell’s Keep the Aspidistra Flying, The Outsider by Camut and Colin Wilson respectively, Notes from the Underground by Doestoyevsky, Ask the Dust by John Fante, Factotum and Post Office by Bukowski , Youth by Coetze. Novels about the great struggle of self actualisation in a creative soul; the inner conflict between a calling and convention, between exile or a life of quiet repression; and the external battle between the artist and components of the world, ranging from family, society, religion, the status quo, or consensus of a particular time, in order to pursue art/writing as a vocation, as a purpose for life. 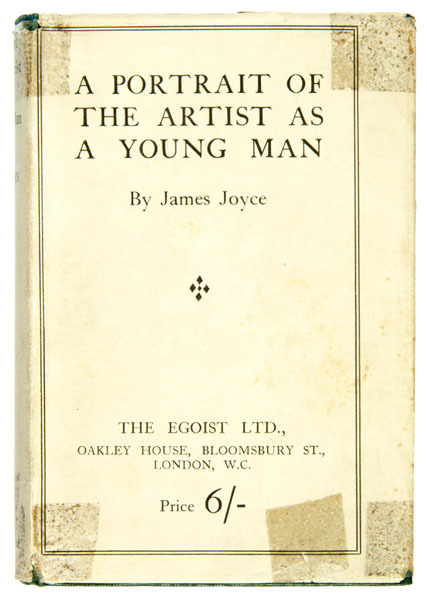 And there is no greater examination of the alienation and eventual self-imposed exile of an artist than in Joyce’s Portrait. She was alone and still, gazing out to sea; and when she felt his presence and the worship of his eyes her eyes turned to him in quiet sufferance of his gaze, without shame or wantonness – He turned away from her suddenly and set off across the strand. His cheeks were aflame; his body was aglow; his limbs were trembling. On and on and on and on he strode, far out over the sands, singing wildly to the sea, crying to greet the advent of the life that had cried to him. Her image had passed into his soul forever and no word had broken the holy silence of his ecstasy. Her eyes had called him and his soul had leaped at the call. To live, to err, to fall, to triumph. To recreate life out of life. 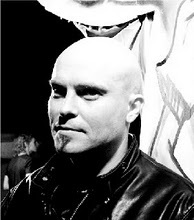 Adam Nevill is the author of Banquet for the Damned – a novel of supernatural horror, published by PS Publishing and Virgin Books, and nine other novels under a pseudonym. His latest novel, Apartment 16, (click to read my review) is published in May 2010 by Pan Macmillan, which he is signing at Forbidden Planet in London on May 20th.